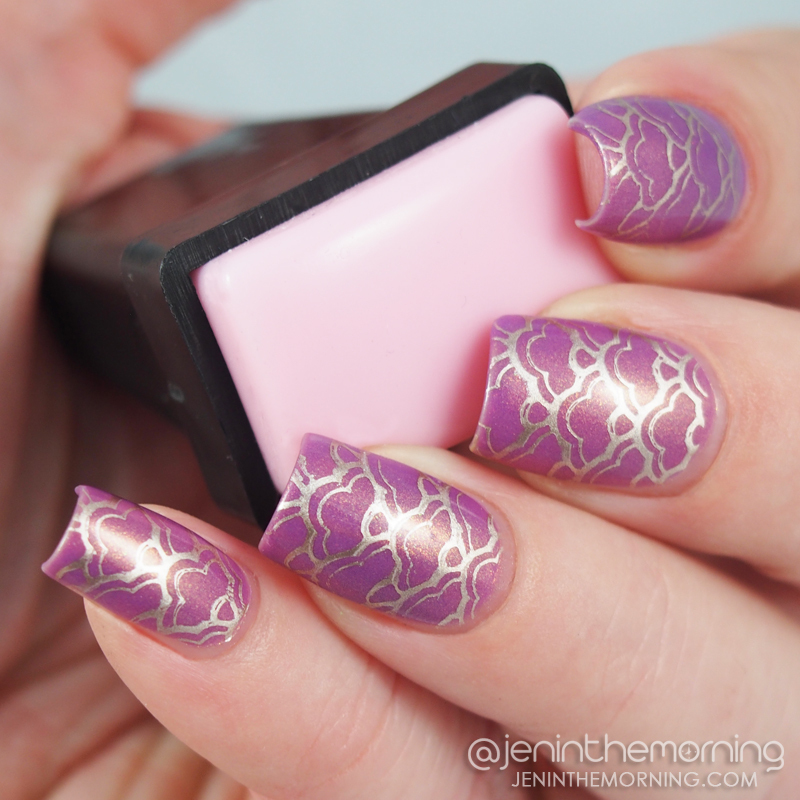 Today I am talking about stamping! In fact, I will be talking about one particular stamping head sent to me for review by Born Pretty Store. I have a number of stampers and heads, but I am always on the lookout for new ones to try out and fall in love with. 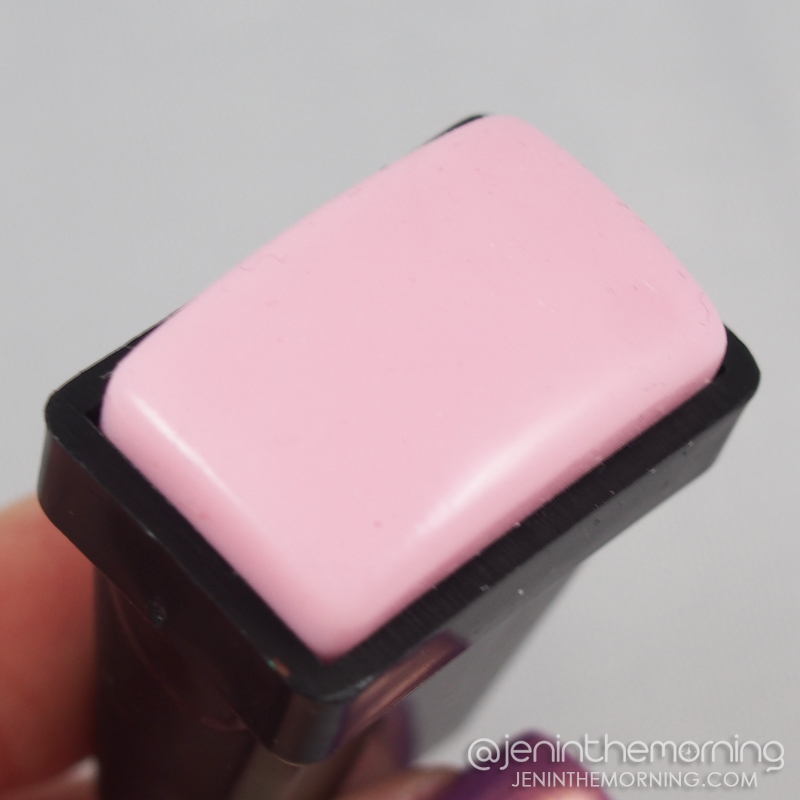 Today, I will be taking a look at a pink, rectangular refill stamping head. It’s not exceptionally soft, but it does have some give to it. The finish is decidedly non-sticky. I already had a pretty standard rectangular stamper, so I popped the head into it and the fit was perfect. I was very pleased with how well this picked up. This pattern has both thicker and thinner lines and all of them picked up perfectly, with no priming at all. I decided it was time to try it out on my nails next. 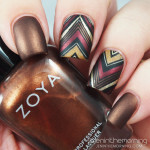 I chose a very delicate pattern from Born Pretty Store plate BP-L 003 and stamped over Zoya – Zara using Essie – Good as Gold. 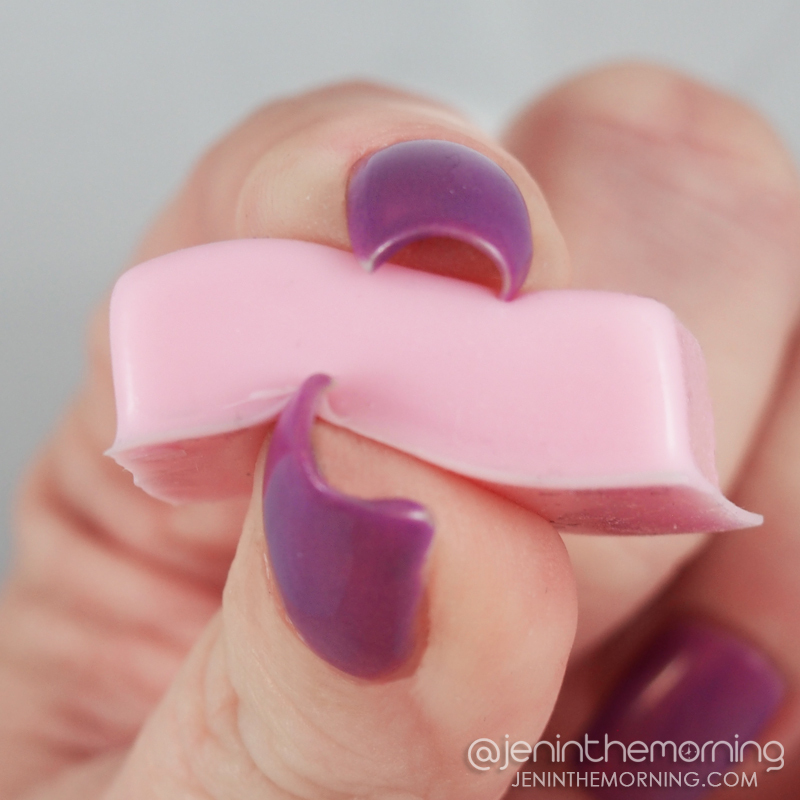 My nail are very curvy, but this stamper head has just enough give to allow me to press my nail firmly into the stamper and enough firmness to keep the pattern itself from warping too much on the sides. It did a really nice job of picking up the very fine lines in this pattern, even though I was using a really fast drying polish. Overall, I was more pleased with this stamper head than I thought I was going to be when I first opened it. I love that it didn’t need to be primed at all and still did a great job picking up extremely fine lines. 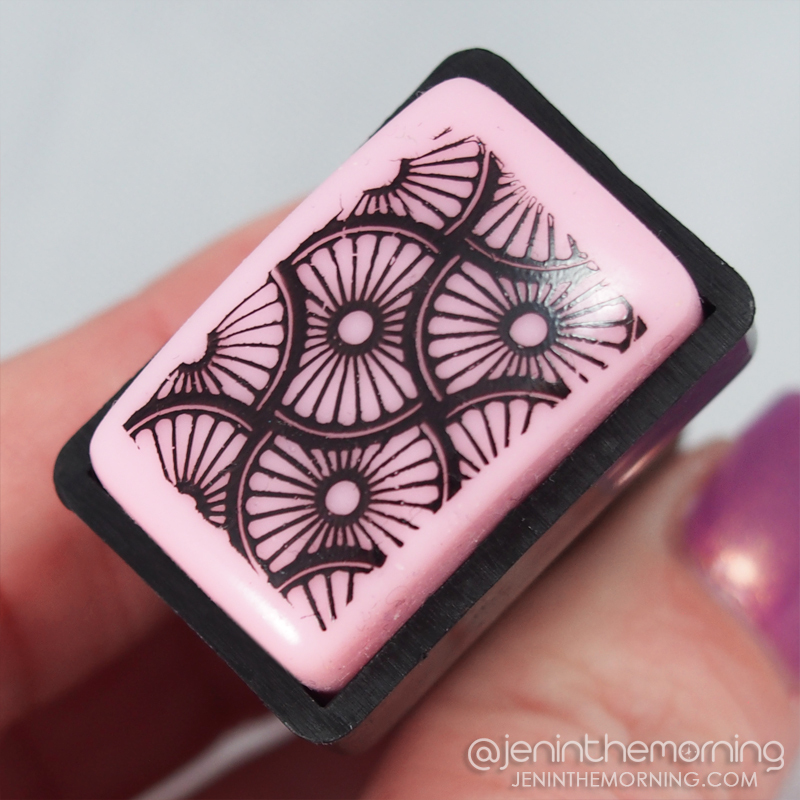 I feel like this would be a good stamper for a beginner because it was so hassle-free to use. I know that learning when and how to prime stampers was something I struggled with as a newbie, so I am all for hassle-free options. This replacement head is available on the Born Pretty Store website in a variety of colors including purple, green, black and red. 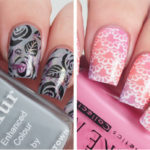 Check out the Nail Art category as well, I almost always find something I have to have. This is so gorgeous! I like marshmallow stampers, too! Great review! Nothing beats an awesome stamper! Oh how I love when a stamper head comes perfectly primed. Your mani is gorgeous I love your color choices. Awesome stamper! The image is so crisp! Perfection! I love when you don’t have to prime stamp heads. It makes life so much better. Oh cool! I love when a stamper works straight away! This stamper picked up the image perfectly. The fact that you didn’t have to prime it is fantastic! Looks like it stamps well, and I need Zoya Zara in my life! Oh yeah, Zara is a beauty!